As Vice President Finance for Core5, Jennifer is responsible for both the financial and accounting processes at Core5. This includes financial reporting and projecting, as well as treasury and cash management. Jennifer manages construction loan and joint venture closings – functions she is well-equipped to perform having concentrated knowledge in these areas. 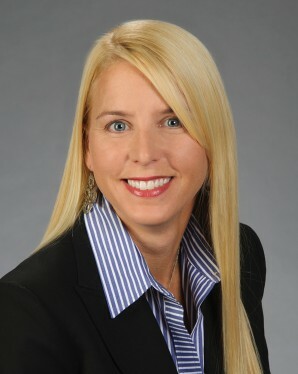 Simultaneously, she plays an asset management role for Core5’s operating properties and portfolios. She also oversees the accounting department at Core5. With over 13 years’ experience in commercial real estate accounting and finance, Jennifer’s achievements entail financial oversight of real estate development and portfolios totaling over 20 million square feet. She has closed on over $300 million in loans and joint venture transactions which deployed a total of $75 million in equity. Jennifer serves on the board of directors and performs an officer role as treasurer of Nana Grants, a non-profit organization that provides quality, reliable child care for low-income single mothers pursuing a college education. Past volunteer efforts include a role as guest service volunteer for the Atlanta Ronald MacDonald House as well as committee member with United Cerebral Palsy of Georgia. Jennifer is a graduate of Leadership Buckhead, a program created to help high-potential individuals develop fully as leaders. She is also an active member of CREW (Commercial Real Estate Women), where she sits on the Advanced Crew Experience committee. Jennifer holds a Masters of Business Administration from Kennesaw State University in Atlanta, Georgia and a Bachelor of Business Administration, Finance from the University of Georgia in Athens, Georgia where she graduated with a 4.0 GPA in her major. She is a Certified Commercial Investment Member candidate. Past work experience includes a ten-year appointment at Kajima’s former industrial company, IDI. Prior to entering the real estate field, she held posts at Intellinet Corporation and Nationwide Insurance.